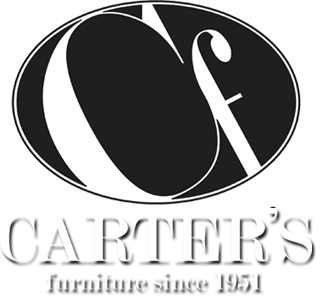 The Carter family was introduced to the furniture business when James Carter's parents, J.W. & Gladys E. Carter opened a second-hand furniture store in Kamay, Texas in 1942. In 1945, J.W. Carter tried his hand in the oil business and began wildcatting. After 3 years of traveling in the oil patch, the family settled in Big Spring, Texas and opened 'Carter's Furniture. James "Jimmy" Carter watched his father and younger brother Terry operate the new business successfully for several years until he decided they might be on to something! In 1951, James & Elouise Carter started "Carter's Stop & Swap" at 711 E. Hwy 80 in Midland, Texas. Later, in 1960, they began the building of the store at 501 E. Illinois. As the years went by, 11 warehouses were added and the store location grew to cover the entire 1/2 city block. In 1986, Jimmy and Elouise sold the business to their youngest son, Tim. Tim and wife Laura continue to operate the store to this day. Maintaining the principles on which the business was founded, Carter's has an A+ rating with the Better Business Bureau, earned the Chamber of Commerce Business of the Year award, and has been voted Midland's Favorite Furniture Store in the Midland Reporter Telegram's annual contest for many years. In 2010, Carter's moved their showroom to its current location on the corner of Garfield and Wadley in the Plaza Oaks Shopping Center. This 40,000 sq. ft. retail furniture mecca is one of the finest display of current styles and trends available in the Lone Star State. With the main showroom and 11 warehouses, Carter's has a plentiful array of in-stock merchandise including accessories, rugs, bedding, and furniture for every room in your home. Carter's also maintains a first-rate service department to take care of any warranty issues after the sale. We know you have a choice. Thank you for choosing Carter's Furniture!